Oh, how I loved Sophie’s story! I have thoroughly enjoyed learning about the plight of orphaned and homeless children during the orphan train movement, and Hedlund has done an excellent job of bringing their stories to life. 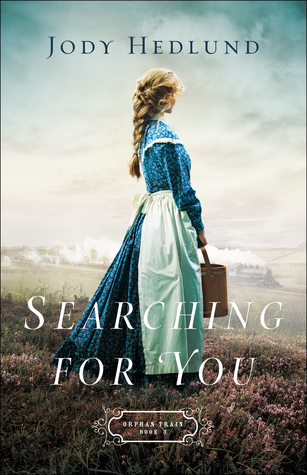 Heart-wrenching and hopeful, Searching for You is a compelling tale and a wonderful conclusion to the Orphan Train series. While this novel can stand alone, I highly recommend reading the entire series! I adore historical fiction, and Jody Hedlund’s orphan train series is one of my favorites! The details and descriptions are vivid and bring to life a compelling tale. Marianne Neumann, her fellow Children’s Aid Society agent Andrew Brady, and their young charges are well-crafted and endearing characters, and I loved experiencing their emotional journey. 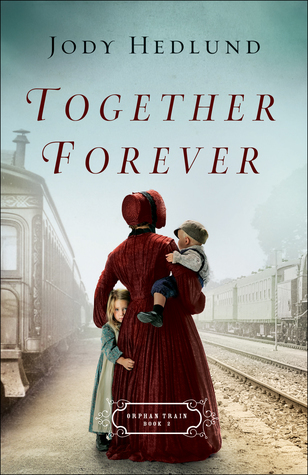 Together Forever is a beautiful blend of history and romance, and I can’t wait to continue this wonderful series! Marianne Neumann became a placing agent with the Children’s Aid Society with one goal: to find her lost sister. Her fellow agent, Andrew Brady, is a former schoolteacher with a way with children and a hidden past. As they team up placing orphans in homes in Illinois, they grow ever closer . . . until a shocking tragedy changes one of their lives forever. Learn more about Together Forever.